Soaring unemployment has plenty of people wondering how to improve their odds in today's ultra-competitive job market -- and do something constructive with all of their extra free time. Laid-off workers who think that taking the latest computer training course or getting a fancy new certification in marketing will help win over prospective employers are in for a surprise, however. While such courses can indeed prove valuable, the truth is employers would much rather hire someone who excels at reading, writing and speaking effectively. The National Association of Colleges and Employers' Job Outlook 2009 report found that among the traits that employers want the most in a job candidate, communication skills top the list (other prized attributes include a strong work ethic, ability to work in a team, and initiative). Evidently, however, such skills are hard to come by. The U.S. Department of Education's 2003 Assessment of Adult Literacy (the most recent study to be conducted) found that less than one-third of college graduates are "proficient" in the three measures of literacy. Not only that, but majors or specific courses of study carry a lot less weight with employers than you might think. A 2007 report conducted by Seattle-based consulting firm Payscale found that choice of career impacts earnings far more than choice of major: History majors who become business consultants earn a median total compensation of $104,000 one decade into their careers -- around the same as business majors who became business consultants, says Payscale. But perhaps the best part about boosting your communications prowess: It won't cost you much. You can take classes a la carte at a local community college or online for less than $500 per class -- sometimes much less. Also, check out continuing education programs at a local university or college. To help make classes even more affordable tap into scholarships. To give you an idea of which classes might be both interesting and helpful, here are a few suggestions. Just remember: Pick classes that interest you. 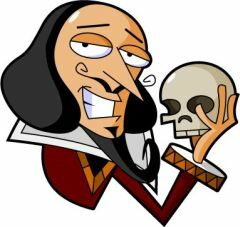 At the very least, you'll have a cool story to tell future employers: Who wouldn't be impressed by someone who went back to school to study Shakespeare just for kicks? Advanced Composition: You know that stack of classics you've never gotten around to reading? Taking a literature class with a heavy emphasis on writing essays will give you an opportunity to dust off Catch 22 and sniff out symbolism in everything from literature to sarcastic office memos. At the very least, you'll be able to fit in at pretentious cocktail parties or impress your boss with your wealth of literary knowledge. Public Speaking: Conquer your fears and take a stand. Public speaking courses allow you to improve your presentation skills while debating your favorite issues. Such skills of public persuasion can prove really helpful at the office and it just might put an end to those anxiety dreams of standing in front of a crowd in your underwear. Sociology: Learn about all of the complexities of gender, race and culture while also figuring out what props up that glass ceiling and how to break through it. Interpersonal Psychology: Want to enhance your people-reading skills? Take an interpersonal psychology course and learn about personality traits, communication/leadership styles, effective problem solving, and cultural diversity. HR people and managers have spent millions of hours developing the tactics necessary to read and manipulate prospective hires and employees. It only seems fair that you should have a clue as to how it works, too.